We have been watching this year’s offering of Christmas TV ads and whichever country they are from, many of them share one clear trait. They are guaranteed to make you cry. Here’s Brandworkz pick of the best of the crop from around the world. Handkerchiefs at the ready. This German supermarket brand goes perhaps a little far in bringing us the story of a lonely grandpa who has to fake his own death to get his family home for Christmas. If none of the others get you crying, this one surely will! 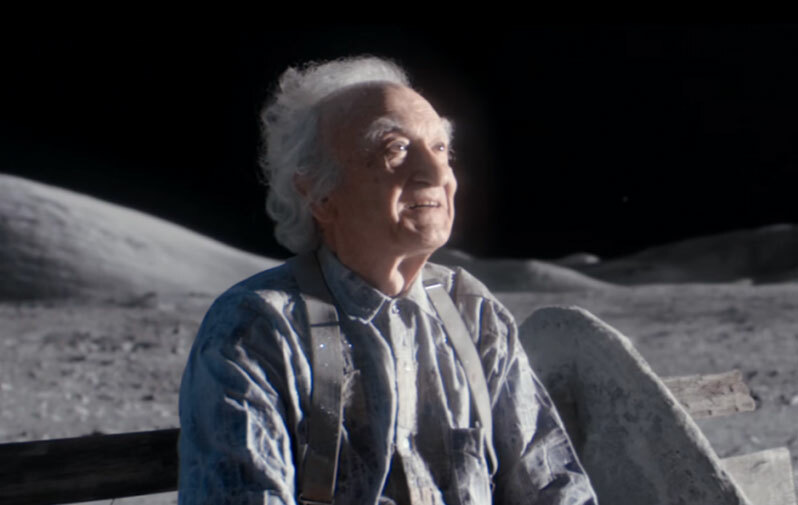 We can’t let Christmas go by without mentioning this year’s festive ad from UK retailer, John Lewis. In a similar vein to Edeka’s, a little girl sees the man in the moon through a telescope and cheers up his solitary Christmas by sending him his own telescope. The company have joined forces with Age UK to highlight the issue of loneliness at Christmas. A little boy and his (apparently single) dad get ready for Christmas. There’s no mum. Cue lump in throat and tear in eye. Oh wait, maybe there is! If you have children and have ever read them the hilarious Mog books by author Judith Kerr about a hapless, accident-prone cat with a fondness for eating eggs, this ad will make you smile. It goes all sentimental at the end, but will nonetheless keep you entertained as Mog manages to burn the house down on Christmas eve. And finally…. One that will make you laugh (what a relief). In a hilarious spoof on the Christmas story, a Mulberry bag takes on the role of the baby Jesus and becomes the focus of wonder and admiration by shepherds and wise men.